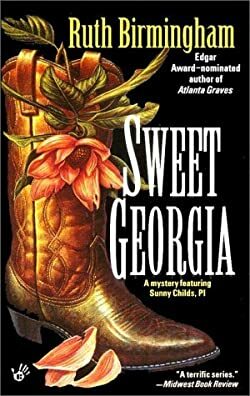 The disappearance of country singer Georgia Burnett spurs private detective Sunny Childs of “Peachtree Investigations” into action, first to investigate a kidnapping, then murder. Sunny Childs is employed by Gunnar Brushwood who owns Peachtree Investigations located in Atlanta, Georgia. He knows he’s not that good at his job, so he has Sunny to do all the hard work for him along with taking all the important work-related decisions. Singing sensation Georgia Burnett has disappeared and Peachtree Investigations is on the case. As it turns out, there’s more to this kidnapping than meets the eye. There is an exchange to be done for Georgia to be released, and Sunny and Gunner have to do the deed. Still, Sunny doesn’t like it, so she quits her job. Soon after being rescued, Georgia is found dead, and Gunner is the main suspect in her murder. Now, Sunny can’t get Georgia off her mind until she ends this case on the right note, so she has to investigate to get Gunnar off the hook.